Plane seat etiquette: Who is entitled to use the armrests on a plane? Jacy Reese was just being polite when he offered to switch airline seats with a mother and her young son on a recent flight from Copenhagen, Denmark, to Toronto. But as the old saying goes, no good deed goes unpunished. "I had preordered a vegan entree," remembers Reese, who works for a nonprofit organisation in Berlin. "It went to my original seat. By the time I found out, the mother had already eaten my meal." Lesson learned: Let a flight attendant know when you switch seats, particularly if you need a special meal. Seat etiquette isn't as easy as it looks. Consider, for example, the recent passengers on a United Airlines flight from Sydney to San Francisco who had a conversation over a passenger seated in the same aisle. The passenger in the middle seat didn't take kindly to it, reportedly delivered a racist rant and ultimately forced the airline to divert the flight to New Zealand. The incident raises the question: Is it acceptable to hold a conversation over someone in a middle seat? "Yes and no," says Maggie Oldham, a New York-based etiquette coach. The conversation must be brief. But if it's anything longer than "a quick exchange," then no. "The polite thing to do is for one of those passengers to offer to trade seats with the passenger in the middle seat," Oldham says. 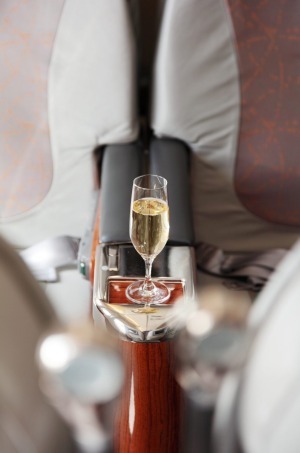 "Even better if you ask the middle-seater if they prefer the window or the aisle and then abdicate accordingly." Q: Should I lean back my seat in economy class? A: No. Seriously, no. Even though you can theoretically lean your seat back, most airlines have removed so much room between the seats that you're almost certain to collide with a passenger's knee, laptop computer or lap child. And that's likely to provoke a confrontation. Q: Sorry, I paid for the seat and it's mine to recline whenever I want. Should I ask the passenger behind me before I do? A: Yes, that's the least you can do. If you're going to lean, ask the passenger behind you if it's okay. "If you're shy about talking to your aft seatmate, at least do them the courtesy of slowly reclining your seat, lest you upset their laptop and land that complimentary soft drink all over their pants," suggests Kathleen Starmer, a former research scientist and frequent traveller who lives in San Jose. Q: What is seat sprawl, and how much is acceptable? A: Seat sprawl happens when a passenger stretches, extends or invades your personal space with his or her legs, arms or head. How much is acceptable? None. "Don't sprawl onto your seatmate's territory," says relationship expert April Masini. "Bring a neck pillow so you can be comfortable and avoid falling onto their shoulders when you fall asleep, as the pillows tend to brace you away from neighbors." 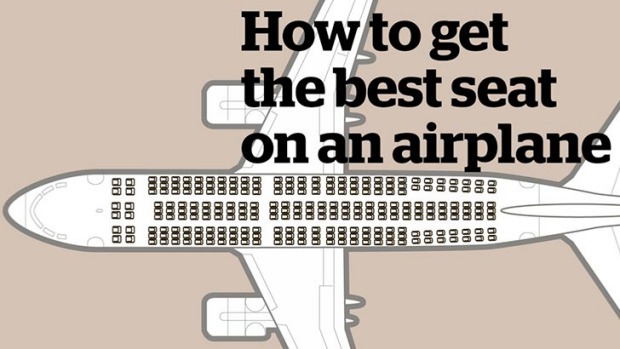 If you're a large passenger, buy a second seat. Q: Whose armrest is it, anyway? A: Obviously, the passenger in the window seat controls the window armrest and the aisle seat controls the outermost armrest. But the middle two armrests - ah, that's not an easy one! The consensus is that it's a shared space but that the middle seat passenger has something close to the right of way. In other words, if you're sitting in a window or aisle seat, the middle seat passenger gets to put his arms down first. If there's room left over, great. If not, it belongs to the middle seat passenger. And one more thing, says Adeodata Czink, a Toronto-based manners expert, "Try to be nice about it." Q: Shoes on or off? A: Only you know the answer to this one. "We all know if our feet smell or not and need to base our decision on that fact alone," says Bill Sechter, a Seattle-based frequent traveller who founded a company that designs workspaces. "If you know you have foot odor, by all means, leave your shoes on. If not, feel free to take them off, but remember to place them out of the way of others getting in and out of your row." One more thing: Always wear socks. It's just better for everyone. And you don't want to end up on one of those passenger-shaming websites. Q: Should I awaken a snoring seat mate? A: If the snoring is keeping you awake on an overnight flight, absolutely. But the burden is on the snorer. "If you know you have a snoring problem, you may need to avoid sleeping," says Maryanne Parker, an etiquette expert from San Diego. The best approach: Ask a flight attendant or conductor to help. You might be able to move to a different seat. "If the passenger himself asks us if we can hear him snoring, you can be honest, but still polite," she says. Q: Should I change my baby's diaper on my seat? A: No. Go to the bathroom to change Junior. Speaking of kids, remember Reese, the passenger who lost his in-flight meal? Turns out there was one final lesson to be learned. "I didn't confront the mother," he says, "but mentioned it to the flight attendant. I doubted that the mother would be in a similar situation again, so it didn't seem worth bothering her about it, but the flight attendant might." The flight attendant was appreciative and offered him an extra snack, as the flight was out of vegan meals. And now, Reese will always remember the value of avoiding a confrontation and being discreet when one of these unwritten rules is violated.